This past weekend was a cool one in STL. The weather we have been having so far is not your typical hot/humid summer. It was so cool this past friday we had to use blankets on the deck at a party Steven and I went to. So glad I picked up this sweater!Don't forget to enter the $300 J.Crew giveaway. You can enter HERE. LOVE that sweater! Such fun colors! And those shoes...amazing! I got this sweater on super sale at Ann Taylor! So glad I got it! I wore it this past weekend because it has been so chilly! I love this sweater! It is so fun for summer and was perfect on a cool summer night! Comfy too! These shoes are so fun! Close as I can get to Valentio for now! Love this look! Fabulous shoes!! We have been having some now too terribly hot weather as well and it has been wonderful! Let's hope it stays that way a little longer. I agree! During the day the weather has been perfect! 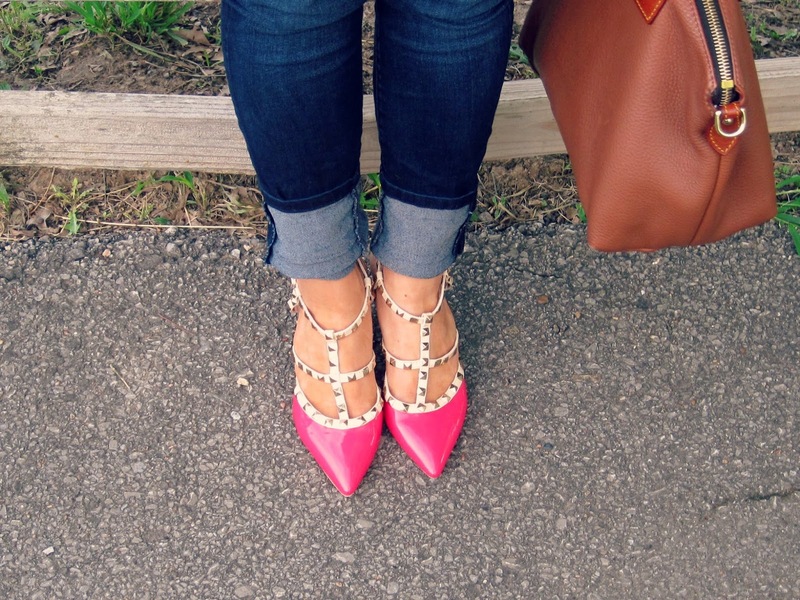 Absolutely DYING over those shoes! Love it! Love these shoes! They are comfy too! Love the sweater!! Such great colors :) I work at Loft so I'm an obvious advocate for anything Ann Taylor/Loft! Thanks Katherine! I bet working at LOFT has some great perks! I love how your shoes match your sweater! 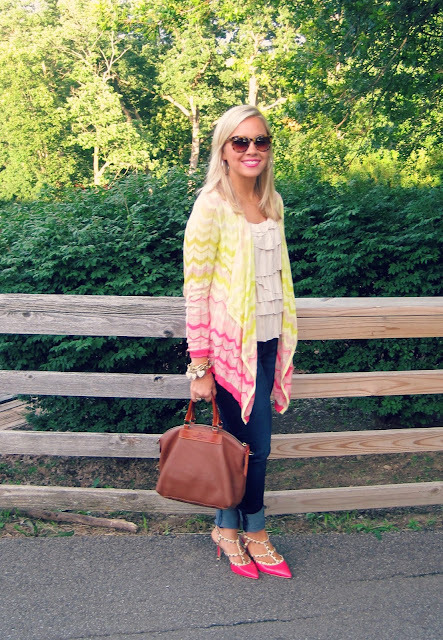 The brights are definitely perfect for summer. 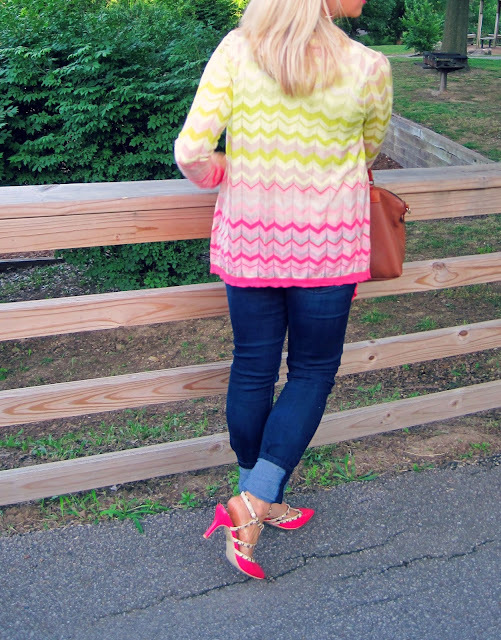 The sweater matched perfectly with the shoes! I love the colors, they are so fun and bright! These colors are so fun to wear in the summer!